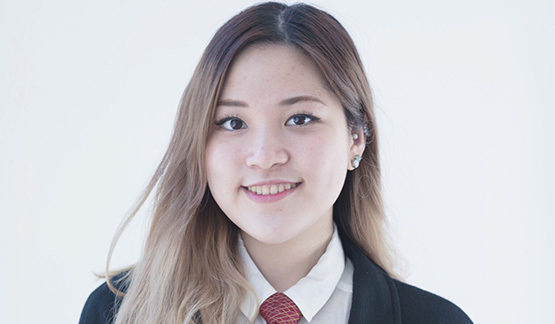 Olivia (Heuiyoung) Park, a mechanical engineering junior, from Irvine, California was awarded one of five grants given by HARMAN International and 1,000 Dreams Fund for its second annual #NewFaceofTech Challenge. The grants were created to encourage more talented women to enter and stay in science and technology. “I currently teach students CAD/3D printing so a grant would help me develop more skills in that area. One of the areas of study that I enjoy, is aerospace," says Olivia, who plans to become a professor of mechanical engineering. 1,000 Dreams Fund staff chose the 10 finalists from a group of more than 200 applicants. A week-long public vote determined the five #NewFaceofTech grant recipients. The five winners receive a $2,000 grant along with a coaching session with a HARMAN executive.